Next time you're bored at work you might want to try out this pretty incredible piece of programming which runs NES games via your browser in - wait for it - 3D. 3DNES only runs in Firefox and isn't operating at full speed at present, but as a technical feat it's pretty impressive. It takes original NES games and presents them in 3D - so while the gameplay remains unchanged, objects and environmental features have proper three dimensional properties. If you're interested in checking it out, head over to the project page. Thanks to Gonçalo Lopes for the tip! I can see Nintendo removing these real fast. Especially as they still sell them on VC. No Chrome support. Maybe later. This is cool. I'm not a pirate, but still, this is extremely cool! Cool, but very glitchy! Needless to say this gets removed veeeerrryy soon! This is how the 3D Classics shoulda been handled. Alright, everyon! Time to see how long this lasts before Nintendo takes it down! Yet another example of hobbyist coders going above and beyond the people who made the actual hardware and games. I find it painful to watch people play Doctor Mario when they aren't very good at it. "Put it there! No, there! Rotate! Rotate!" By the time I get to a computer to look at it Nintendo will have shut this down. This is flipin' awesome! 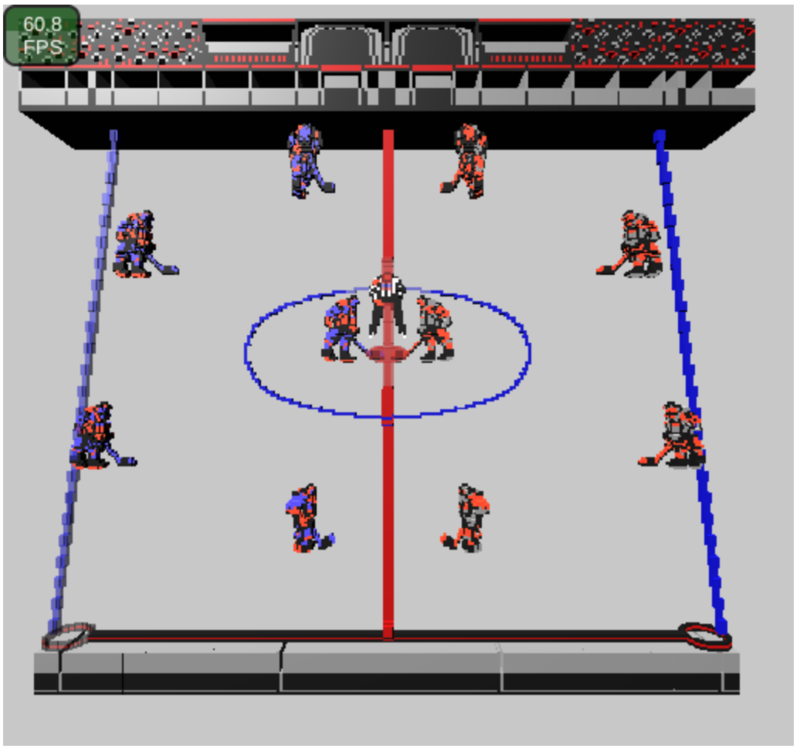 I wonder how "Ice Hockey" and "Blades of Steel" will look like... and "Sky Kid"! @Peach64 Have to agree. Although the hacking/modding scene is usually put to nefarious use (piracy etc), the ingenuity, initiative and scope is really impressive. Surely some of the ideas Nintendo could use themselves. Good stuff. The imagination explodes as to what else you can do... Like a slightly tilted camera angle, i.e., Super Street Fighter IV 3D. Haven't changed it back to normal since I discovered you can do that. I don't think Nintendo will C&D this. It's basically an emulator. If the games are hosted on the site, all they have to do is remove the roms and have the player supply their own roms. There, done. EDIT: So I checked the site. It's LITERALLY just an emulator. Considering there are countless other NES emulators hosted everywhere, Nintendo won't take this down either. Nintendo really has no legal grounds to cease and desist this. Emulators are 100% legal as long as they do not contain copyrighted code. And this doesn't as far as I can tell. Sony tried shutting down a COMMERCIAL emulator in the past, doing so to Bleem! and failed. Emulators are legal folks. Playing ROMs on them, that's still up for debate, but the emulator itself is legal. If Sony couldn't shut down a commercial emulator then Nintendo can't do shite to a free one. And for people saying emulators are for nothing more than piracy, shame on you. Some people do go the legal route and dump their own ROMs, not many I'll admit but some do. Emulators are great for hobbyist programmers and are often what people programming their new games for old consoles playtest on. Two days after Bleem! started taking preorders for their emulator, Sony filed suit against them alleging that they were violating their rights and that providing access for PlayStation games to run on non-Sony hardware constituted unfair competition. Ultimately Bleem! won in court and a protective order was issued to "protect David from Goliath". Sony lost on all counts, including Bleem! 's use of screenshots of PlayStation games on its packaging. The court noted that Bleem! 's use of copyrighted screenshots was considered fair use and should be allowed to continue. Although Sony's litigation against Bleem! led the company to bankruptcy, Sony did not manage to win a decisive victory against Bleem! and to have the product removed from shelves after their demise, which is a legal precedent for the commercial viability of emulators invigorating development of many free PlayStation emulators offering 90% or greater compatibility, and with Bleem! generally regarded as obsolete. Tried Blades of Steel in it. It looks pretty cool! Doesn't last too long, though. The scrolling depletes the memory pretty fast. I'll need to try this out later before the usual C&D makes its appearance. Brilliant concept, to be sure, but many of those sprites are strangely or not well rendered by this "system" (eg, the viruses...; is Mario balding? !, etc.). Hopefully that will change with updates. @FragRed Removing what, out of curiosity? They aren't hosting any games or anything that Nintendo sells. You have to load your own dumped ROMs into it. This is just an emulator, and emulators themselves are original works that are perfectly legal as long as they contain no copyrighted code. They make something creative but limit it to Firefox? What kind of monsters are these?? That is actually pretty darn cool. If Nintendo would take the concept and polish it up I can imagine myself having a great time trying out the various angles in some of my favorite NES games. I want to try this in case of it being removed by Nintendo or something. @ZAZX Just because Bleem won in court doesn't make it right. bowsers lack the needed crap for this stuff. Right and wrong is entirely of personal opinion. What is fact however, is that Bleem! is legal and so are emulators. The games are aesthetically broken with 3D. You can imagine that a flat blue background in 2D is actually the far horizon, but in 3D, it's a poster-board background that's all too close. @ZAZX Yeah, but it was also illegal for minorities to vote in the United States. SMB 1, Mega Man and Castlevania looked really cool. Everything else looked atrocious. "Try installing Firefox" but...that's what I am using! 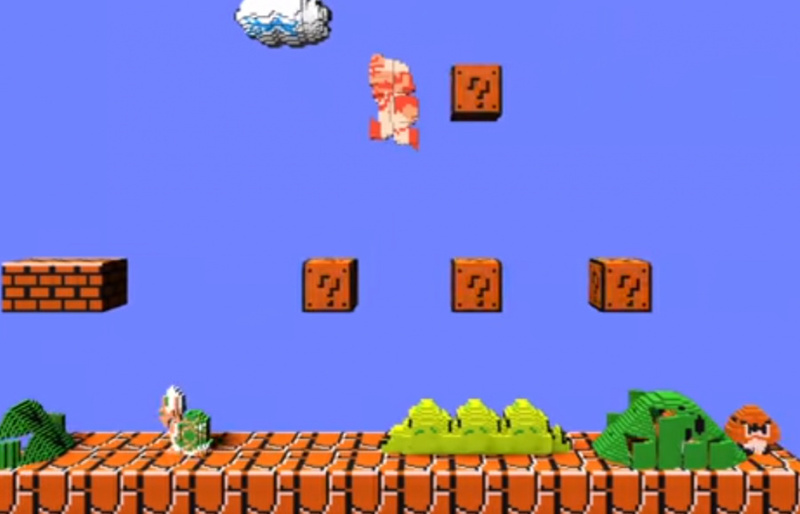 how come the Mario game in 3d look more fun than NSMB on Wii U? Wow, this is pretty darn cool! Can't wait to try Blaster Master in 3D after the emulator has had a few bugs worked out. It already looks better than Nintendo's 3D Classics. Reminds me of something i useto play back in school calld "Metroid Cubed" it was the 1st metroid game recreated to have a 3D look. Is Urban Champion 3D on there? We can safely agree we need some of that in our lives! Just like being legal doesn't make something right, it doesn't mean it's wrong either. Same with illegal. Emulaters are neither good nor bad. Like guns, it's a tool, and can be used for good or bad. You can't condemn tool makers for what people do with them. @khaosklub And what these people are doing is releasing property of Nintendo into the open. From what I read, they are not. You need to have the rom yourself, and even those who use and share illegal roms, even then whether it's right or wrong is questionable. What if you bought the game? What if the game is no longer available? What if your copy was destroyed? What if the game isn't available in your country? Sure, some people want something for nothing. Some want to hurt certain companies... but what if someone who uses emulators to try a game they wouldn't normally and then decides to go out and buy all the games in the series? Stores put nintendo's games out in the open, but nintendo makes money off of them. What about buying used games. That hurts nintendo financially and is probably worse that piracy, because someone is profitting directly from nintendo's loss. Furthermore, nintendo makes emulators, cheap emulators, but emulators none-the-less. Emulators are not wrong, just the purpose of it. Copyright and IP laws are to protect profit. Fair use is for cases that are not preventing the IP holder from profitting on the IP aside from maybe pointing out that the product is bad. So the case about it being wrong is dependant on money in terms of IP. Some businesses benefit from piracy, like microsoft and adobe, because it gets their product into more hands, making it more dominant in the professional market. Not so black and white. The key question is "why is it wrong? ".